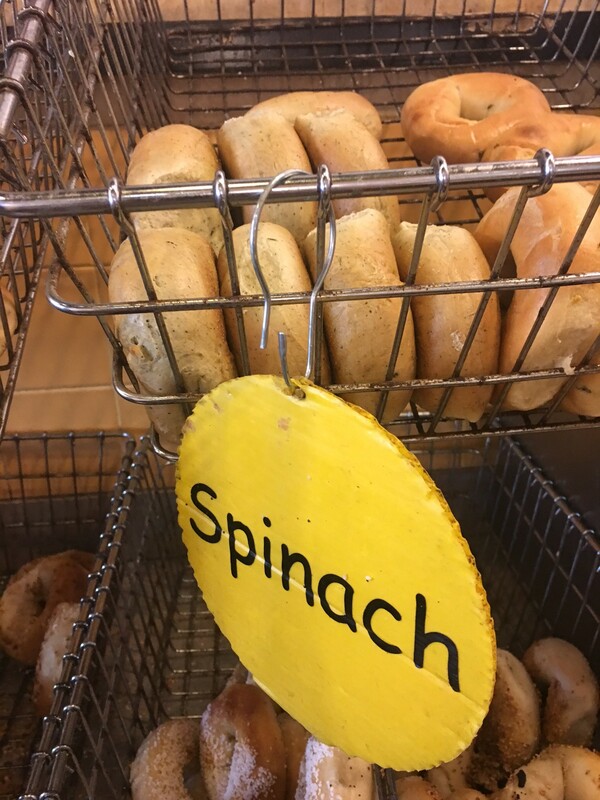 This week’s bagel spotlight goes to the incredible spinach bagel! It’s almost baffling how many vitamins and minerals can be found in a delicious morning meal, yet the spinach bagel never disappoints in its flavor and benefits. Thanks to the famous cartoon character named Popeye, America began to become aware of the wondrous health benefits of spinach after the show’s creation in the 1930s. Since then, this iron-rich vegetable has become increasingly more popular in the average American’s diet. It’s said that spinach being so nutrient dense is what gives Popeye the wild boost of energy that helps his arms double in size. Although eating spinach in real life does not give you superhuman strength, it certainly comes close. Most people utilize spinach by making their ordinary dishes exponentially healthier, such as on pizza, salads and most importantly – in bagels! The spinach bagel is the perfect choice if you’ve been looking for a breakfast jam-packed with vitamins, iron and much needed morning vitality. Paired with your favorite cream cheese at The Bagel Bakery, your body will thank you for your fortified and healthy breakfast choice. Have you been looking to spice up your bagel, but needed some fall inspiration? We’ve found the solution if you’ve been searching for the perfect topping to a perfect bagel. 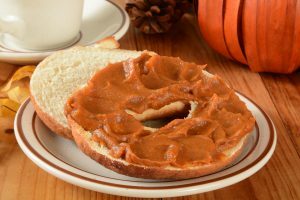 Thanks to Pillsbury, we discovered this delectable recipe for a pumpkin spice cream cheese spread to put on top of your next bagel from The Bagel Bakery. 1. In a large bowl, beat ingredients with electric mixer on medium speed until well combined. 2. Pour spread into serving dish. 3. Cover; refrigerate at least 1 hour to allow flavors to blend. 4. Spread over your favorite bagel from The Bagel Bakery, and enjoy! If you’re feeling “spicy,” give the spread a much needed kick with an extra teaspoon of cinnamon. To truly get the taste of fall, try adding this cream cheese spread to your next bagel and enjoy the flavors this wonderful season has to offer! 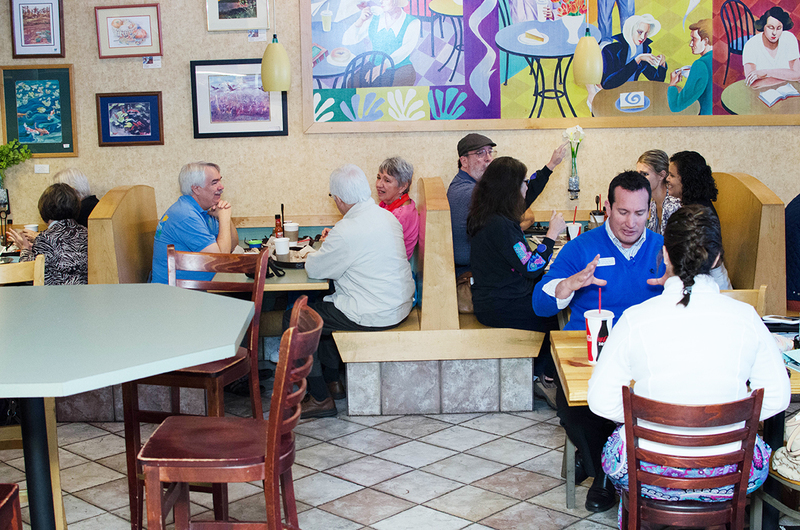 At The Bagel Bakery, we offer so much more than breakfast to our dedicated customers. In addition to the traditional breakfast of bagels, pastries and muffins, we also offer a satisfying lunch menu that is sure to satisfy your cravings and keep you fueled through the day. Our lunch items vary greatly, from focaccia sandwiches to fantastic soups – making sure we will appeal to everyone’s taste. Our fresh deli sandwiches are always made to order – exactly the way you want. And with what seems to be an endless amount of toppings, it’ll be easy to help you create your next sandwich masterpiece. If you’ve been searching for a friendly atmosphere that is suitable to catch up with old friends or meet with a client while grabbing a delicious bite to eat, look no further than The Bagel Bakery. Whether you prefer sweet pastries for breakfast, or savory sandwiches for lunch, we guarantee to make sure you and your guests will leave entirely satisfied and thrilled to have chosen such a great place to eat. With such a large array of combinations to choose from for your next lunch outing or business meeting, you may be wondering what to try first!